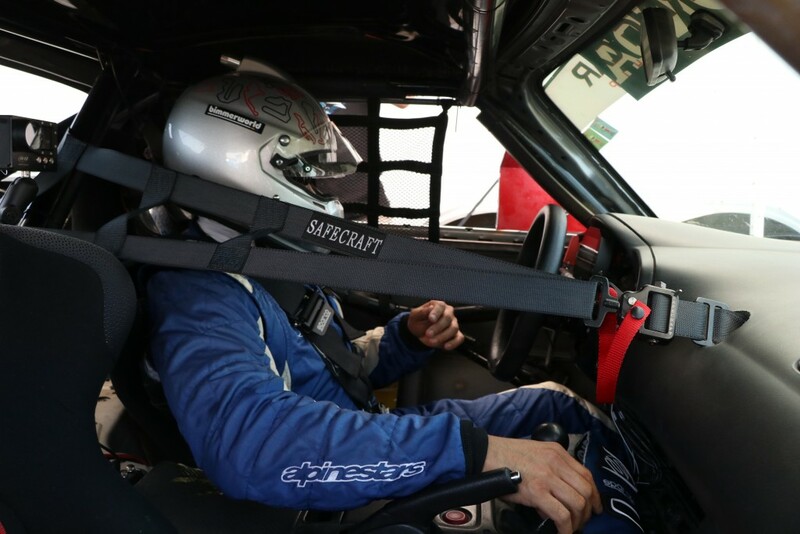 Prima Racing entered the fourth round of the US Touring Car Championship trailing the top points position by a mere five points. 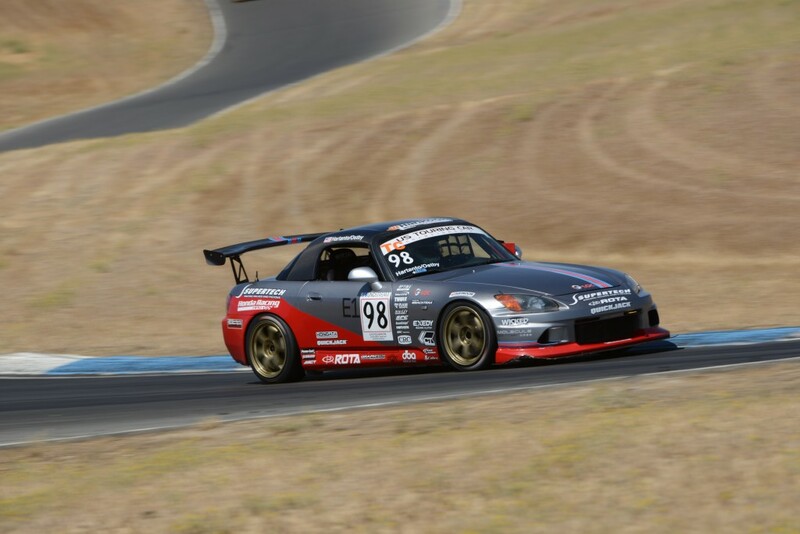 Held at Thunderhill Raceway, the team felt that their Honda S2000 could perform well against other competitors in the Touring Car class in spite of their lack of horsepower. 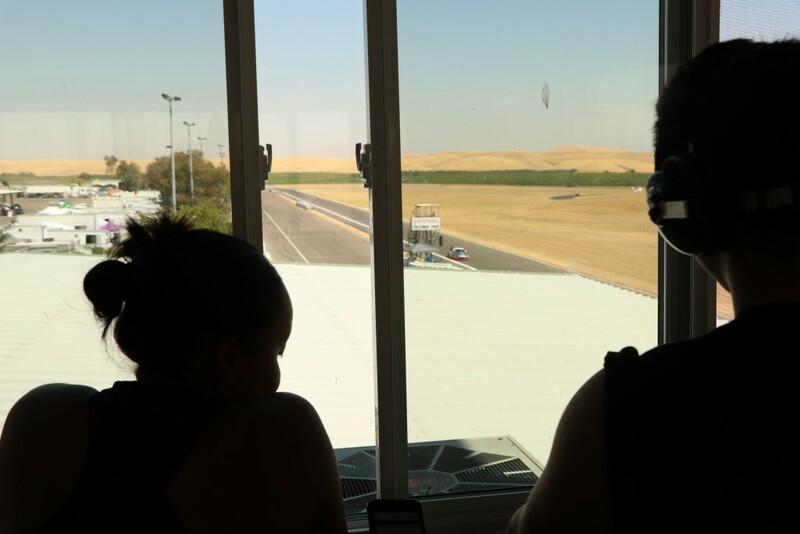 Driver Michael Ostby was behind the wheel for Saturday’s events. 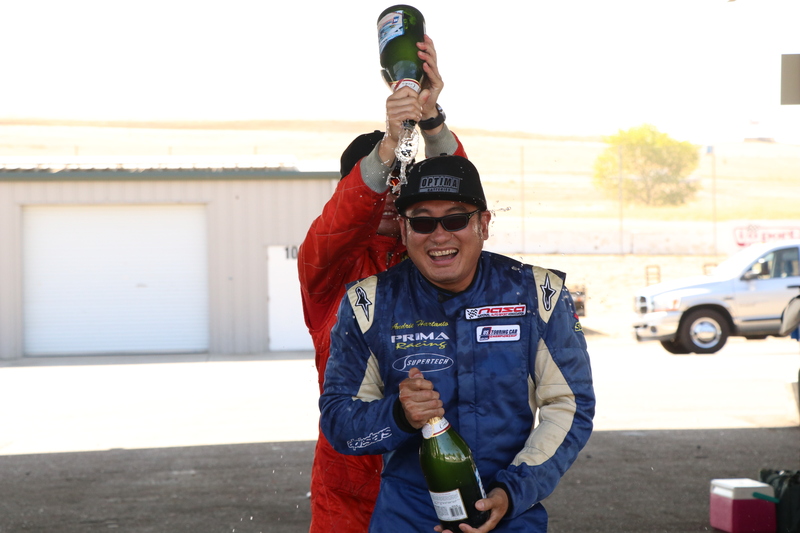 The goal was to get Ostby valuable laps on the Hankook F200 C52 slicks. The morning warmup devolved into a chaotic session rife with yellow flags. While Ostby ran the fastest in TC for the session, the times failed to register with timing and scoring. Far worse, the team was hit with a major setback due to a yellow flag infraction. Facing a rookie license suspension and further ramifications for the team’s overall weekend, Ostby’s in-car video served to reduce the severity of the penalty, however it was determined that the team would suffer a starting grid place penalty for the race. Between appealing the suspension and working with timing & scoring, the team had their hands full in between morning sessions. During qualifying, Ostby redeemed himself by earning Prima Racing the provisional pole position in qualifying. “Quali was just as chaotic as the warm-up. I don’t believe we had a single lap without a standing or waving yellow from Turns 11-15. I’m happy we’ve got the pole, but chances are that everyone will go faster tomorrow, and we still have the grid penalty to serve tomorrow,” Ostby lamented. By Sunday, the competition had picked up the pace. Ostby clocked the TC Class’ third fastest time of the session before turning the car over to teammate, Andrie Hartanto for the second qualifying session. Hartanto wasted no time in turning fast laps, despite being in the car for the first time all weekend. 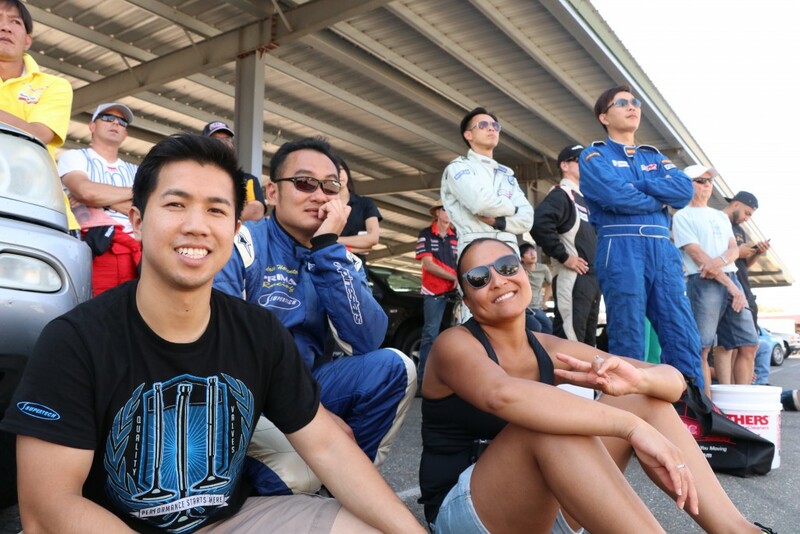 For much of qualifying, Hartanto sat atop the timesheets, but was ultimately out-qualified by Speed SF’s Patrick Chio in his Nissan 350Z in the final minutes of qualifying. Following qualifying, Hartanto and the team prepared for the race. Hartanto and the team were in good spirits, despite qualifying off the pole. As a result of the grid spot penalty from Saturday, this meant that team would start from 3rd on the grid. Hartanto’s standing start was perfect, thus allowing him to get the jump on the cars in front. 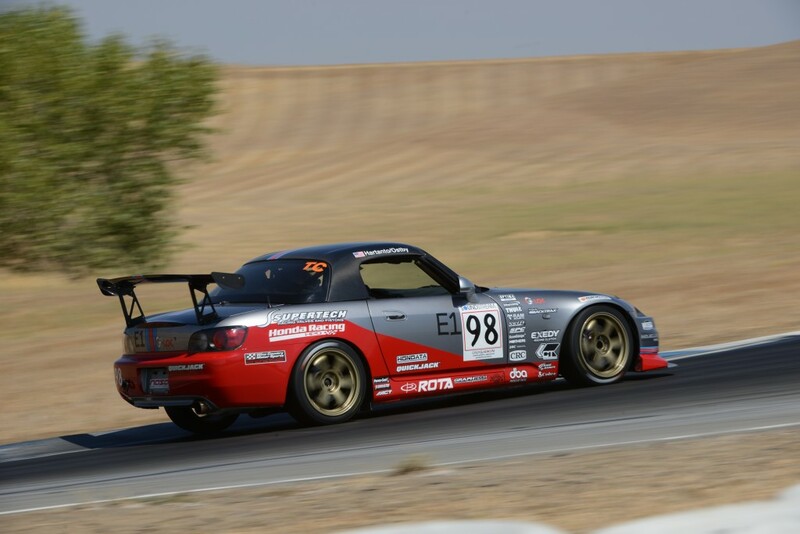 Unfortunately, an elusive third gear saw Hartanto lose four positions in the overall running order. 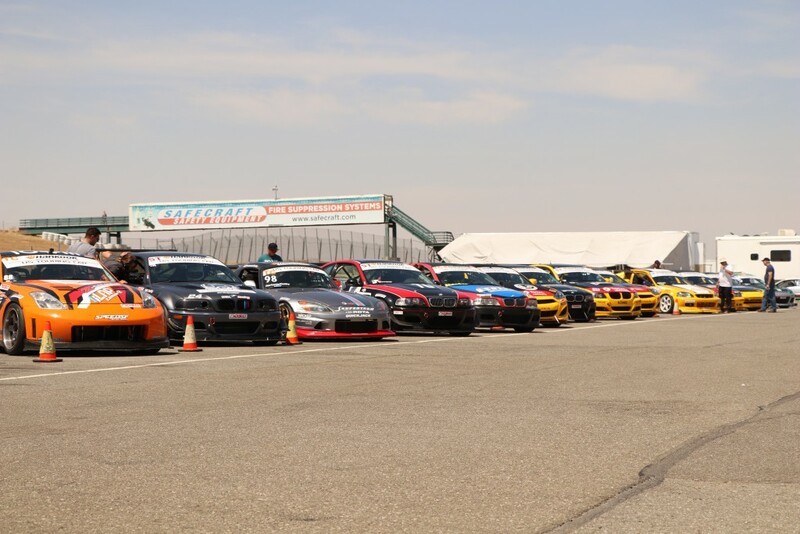 Following an eventful start and into Turn 1, the action ahead was heating up with drivers jostling for position. 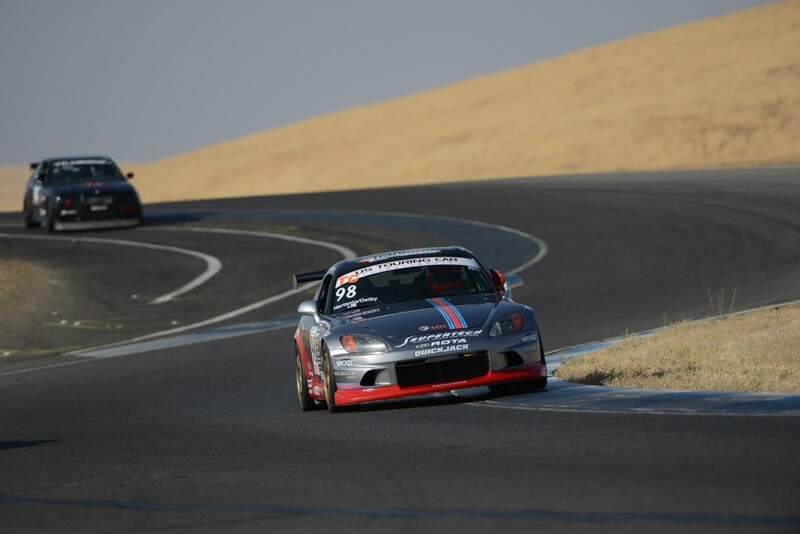 Hartanto pushed hard to advance the S2000 through the field, but was forced to proceed with caution in order to avoid multiple contact situations. “Things got heated very quickly. I love being in the mix, but at the same time I tried to dial it back to preserve the car. Even though we had a shorter race duration, I knew that consistency would be the key to winning the race,” Hartanto reflected. By keeping a cool head, Hartanto avoided a collision immediately in front of him between the BMW of BTM Motorwerke’s Roger Eagleton and the 350Z of pole-sitter, Speed SF’s Patrick Chio. 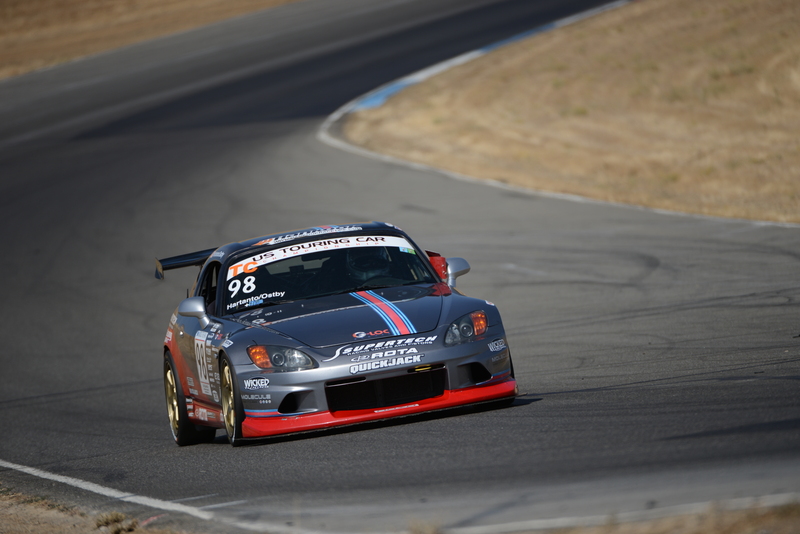 This paved the way for the Hyundai Genesis of GoGoGear’s Gary Sheehan to pull out a greater lead in the TC class. With the commotion clear in front, Hartanto pushed hard and by Turn 8, he began to reel the Genesis in. At the end of the opening lap, Hartanto executed a bold pass on the outside of Turn 1 for the lead, regaining all of the positions lost and then some. 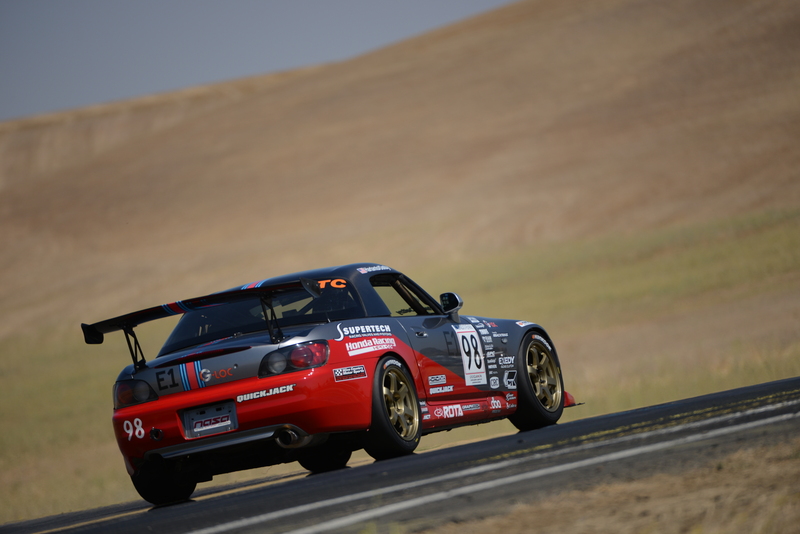 From there, Hartanto and his S2000 pulled out over a 14-second gap during the race. 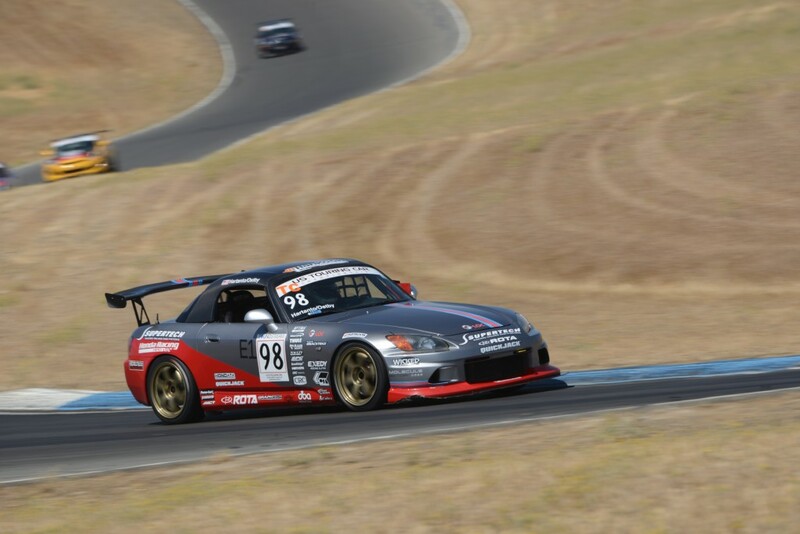 Similar to the previous race at Sonoma, the victory appeared to be all but certain, however the S2000 once again begin to have power issues, similar to the challenges that the team encountered during the endurance race. With only six corners remaining, Hartanto was overtaken. 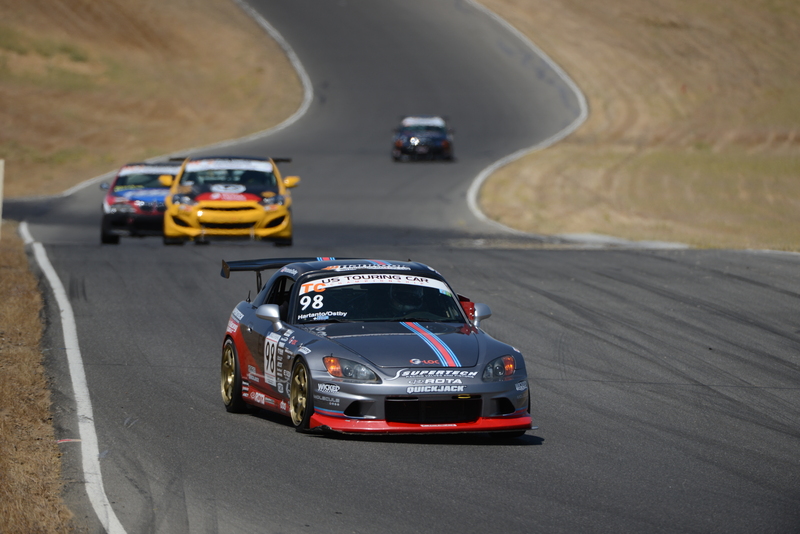 Fortunately, the S2000 was able to coast across the finish line before the rest of the pack was able to catch up. 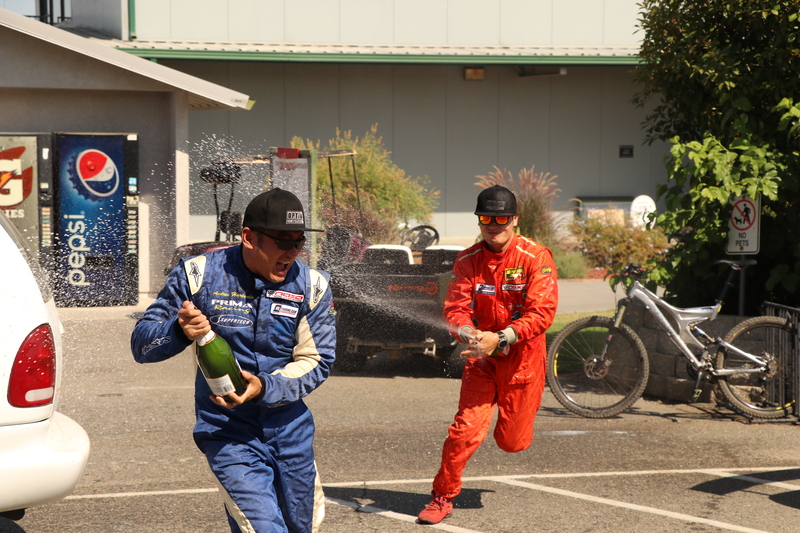 However, after a very brief, yet decisive video review from the race directors, the 1st place finisher was relegated to last place because of infractions, thereby putting Prima Racing in 1st place for the win. “This victory is critical for us. We were trailing in the points and this win is a massive lift for the team. I’m happy we didn’t let up after we obtained the lead and we were fortunate enough to get the car across the finish line. ” Hartanto remarked. The victory vaults Prima Racing atop the points once again and widens the margin to the nearest competitors. Following the race, Hartanto isolated the issue and after a day of testing with Ostby logging over 100 laps during the test, the team appears to be cautiously optimistic that the troubles are behind them. 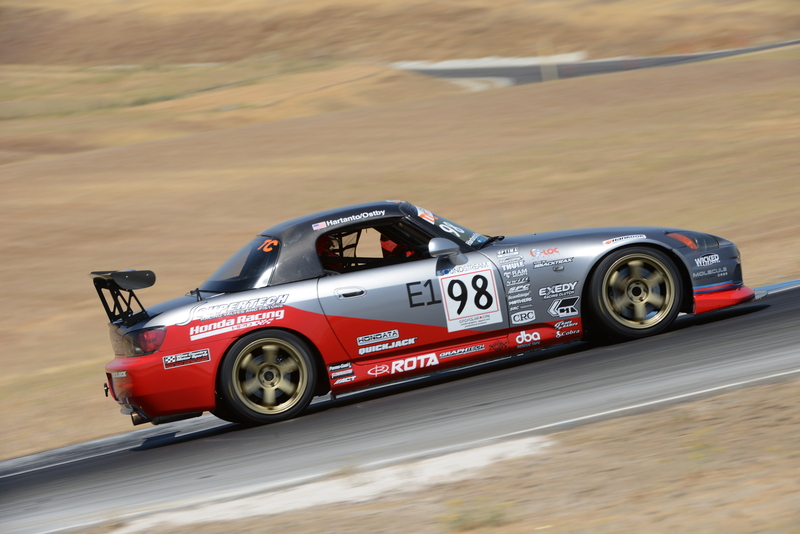 The relief to its technical issues could not be better timed as the team faces two race weekends in a row; September 2-3 at Mazda Raceway Laguna Seca and September 9-10 at Sonoma Raceway.